Composting recycles garden and kitchen scraps into rich, free food for your garden. Compost bins keep nutrient-rich materials out of landfills and keep your garden healthier even on a budget -- but they can also become pest attractors. Because pests like bugs and roaches are drawn to the food matter in your compost, you may have to undertake a few strategies to keep them under control -- or at least, out of your house. Do Bugs Belong In Compost? Keep in mind that many bugs and roaches are natural decomposers that are helping your compost pile do its job of decomposing plant and food remains. Still, that's small comfort if you're worried about having cockroaches migrate from your compost pile to your kitchen. The key is to encourage a reasonable population of insects in your compost while controlling populations to avoid an out-of-control infestation. Compost piles should have a carbon-to-nitrogen weight ratio approaching 30:1. This ratio encourages active, healthy decomposition while minimizing the chance that bugs will take up residence in your pile. Carbon-rich materials are "browns" -- dried plant materials like corn stalks, straw or dried leaves. Nitrogen-rich materials are "greens" -- kitchen scraps, grass clippings, fresh prunings, or seaweed, for example. Layer carbon and nitrogen materials with carbon-rich "browns" on top as you build the pile, but mix materials evenly as you turn it over time. This practice aids healthy decomposition and minimizes pest-attracting odors. Water and turn your pile regularly -- once a week under normal conditions, and twice a week or more if a bug infestation has already set in. This activity breaks down bug colonies, keeps the temperature up so the pile "cooks" quickly without releasing odors and encourages even decomposition. If the infestation is advanced enough that ants or bugs swarm your shovel or pitchfork as you turn, a sticky barrier on the handle made of tape or flypaper will deter them and make your job more pleasant. 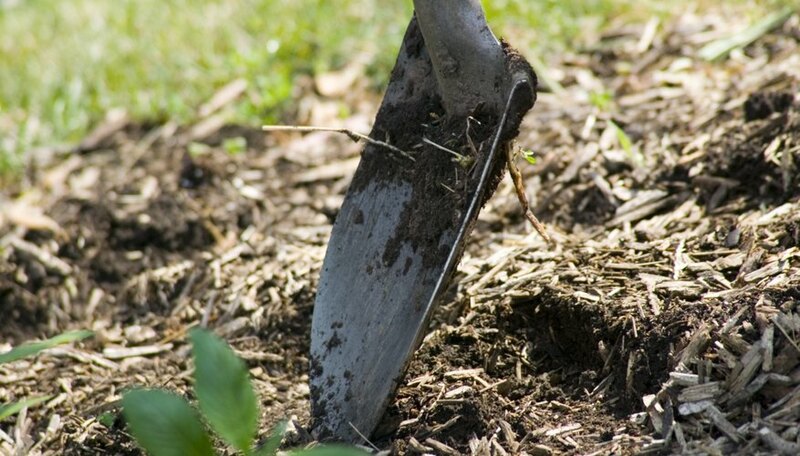 Organic pest control methods including silica and diatomaceous earth (DE) can work in your compost pile as well as your garden or your house. Both DE and silica work by damaging the waxy coating of a roach's body or getting into the joints, causing it to shrivel. You can mix these naturally occurring powders into your compost and, if you have concerns about the infestation spreading to your living area, sprinkle them around the outside of the house to deter pests from finding their way indoors. If you have a long-standing bug problem in your compost, consider alternative composting methods like making or buying a pest-resistant bin. Any bin with a lid and small air holes will keep out most pests while still allowing the chemical processes that make composting happen. You might also consider composting kitchen scraps indoors in a worm bin, building or buying a barrel composter or bury food scraps in your garden where they can decompose slowly underground. What Are the Benefits of Ladybugs?